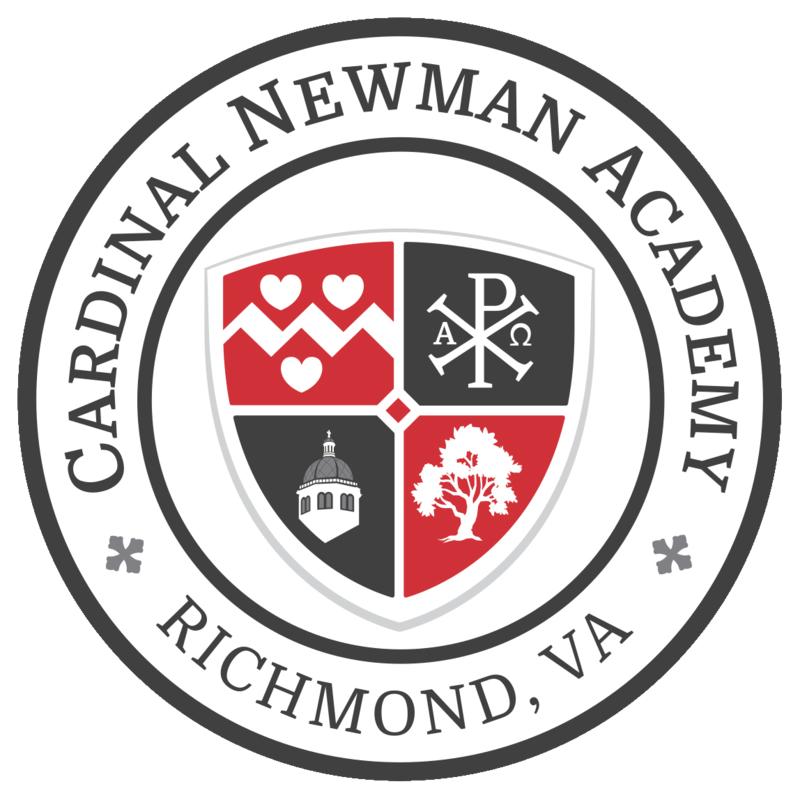 The Board of Directors, faculty, staff, and I are thrilled that on Tuesday, September 5, Cardinal Newman Academy will open its doors to our pioneering ninth graders! 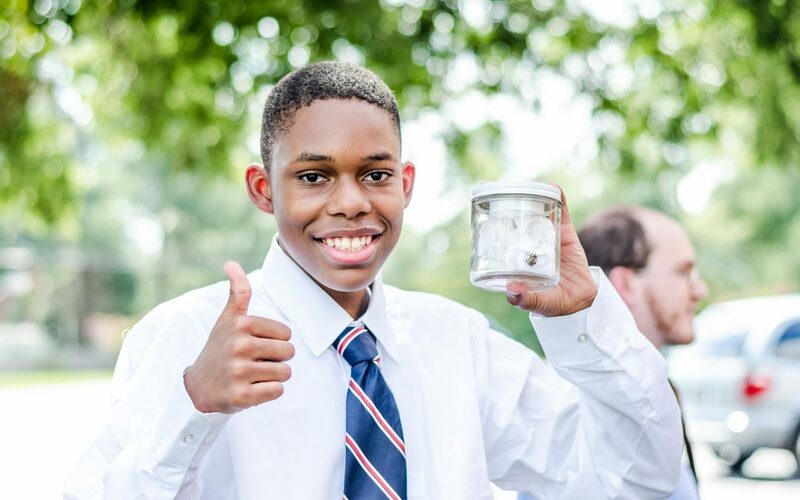 Each of you – through your interest, feedback, encouragement, prayers, and financial support – have made this possible. While this is an incredibly exciting milestone, this is only the beginning! Now, we invite you to come and see Cardinal Newman Academy in full swing! All are welcome to join us at Cardinal Newman Academy at 9:30am on Tuesday, September 5th to pray the Rosary and dedicate our school year to the patronage of Mary, Seat of Wisdom. Also, please mark your calendars for Thursday, September 21 at 7:00pm when Mr. Michael Kelleher will be giving a presentation on teaching virtue in the teen years. Thank you for your support and prayers, which helped us get to this wonderful moment! 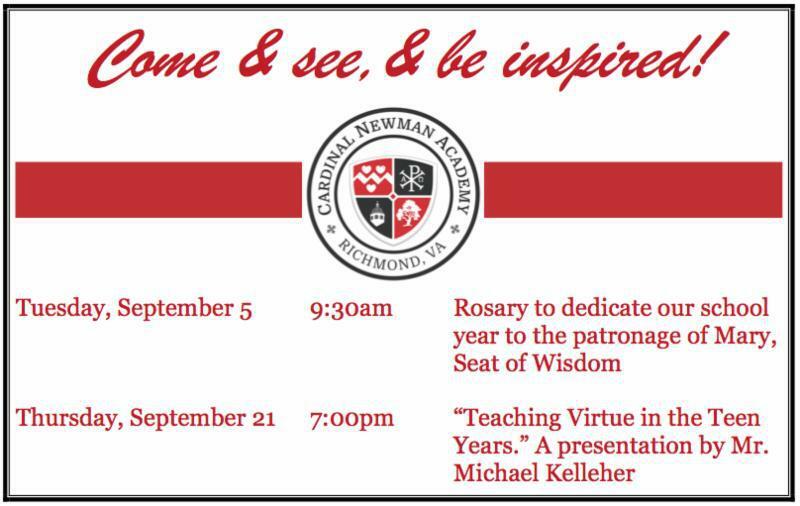 On behalf of the entire Cardinal Newman Academy community we invite you to come and see, and be inspired!